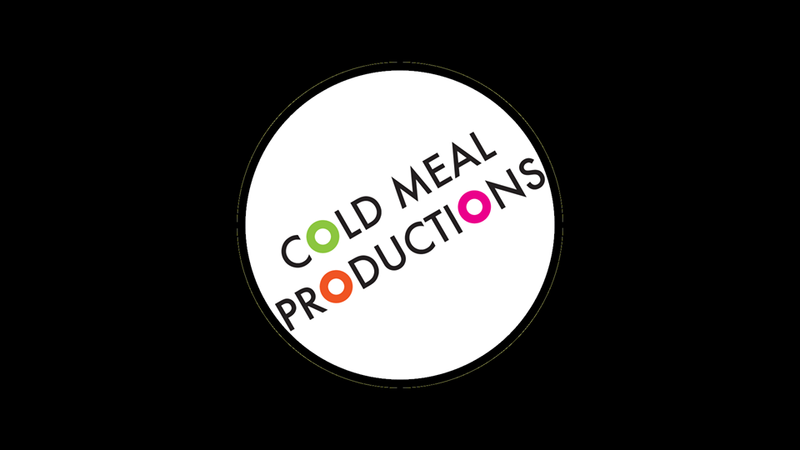 Missouri Wrestling Revival was on hand for the return on WLW in Excelsior Springs, MO as they continued their long tradition of supporting those in need.. This time it was help out the FBLA, as well as a young gentleman Greg’s medical bills. The night started off with the return of one of Italy’s hottest young stars Karim Brigante who was escorted with Miss Monica. Though it has been a little over a half of a year since they returned back to the states, their arrogance and demeanor has not changed in the slightest. Once the American national anthem ended Karim Brigante and Miss Monica entered the ring and issued an open challenge. Never one to step down the challenged was accepted by Leland Race who shocked the young star in the first match for the victory. 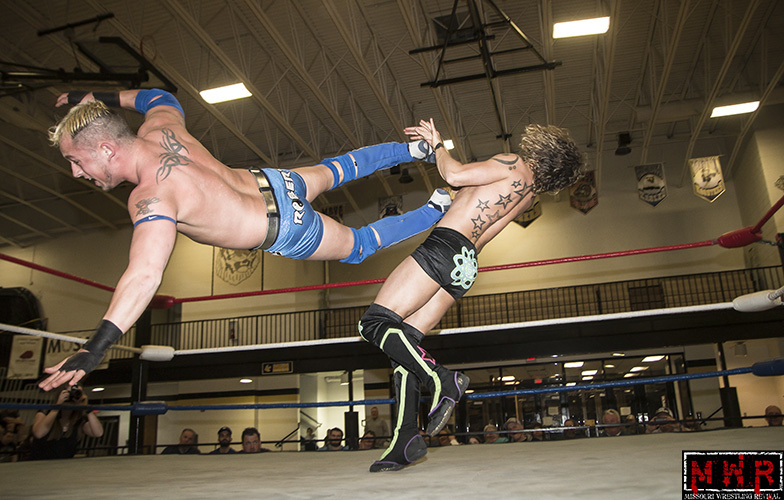 In the second match Mike Sydal continued his winning ways by defeating the high flyer Kyle Roberts by masterfully working on his legs, thus slowing him down for the win. 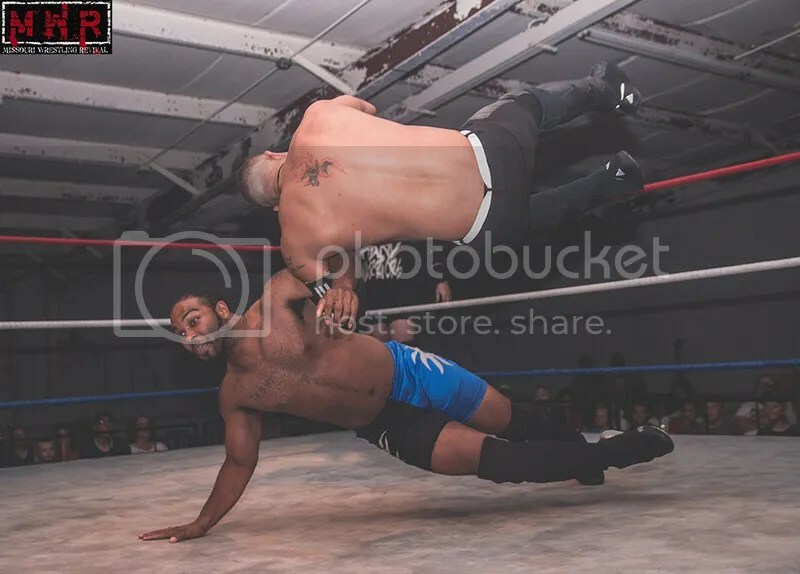 Speaking of high flying, Justin D’Air has earned the reputation of being fearless and once again he showed that when he took the fight to the Black Hand Warriors, Dave DeLorean before being pinned. Miss Natural Heather Patera has a stranglehold on the WLW Ladies Championship and with the rules on her side she was able to retain the title against Stacey O’Brien via countout. Yet adding insult to injury, Patera and Steve Fender taunted O’Brien and Leland Race to a rare WLW mix tag team match. 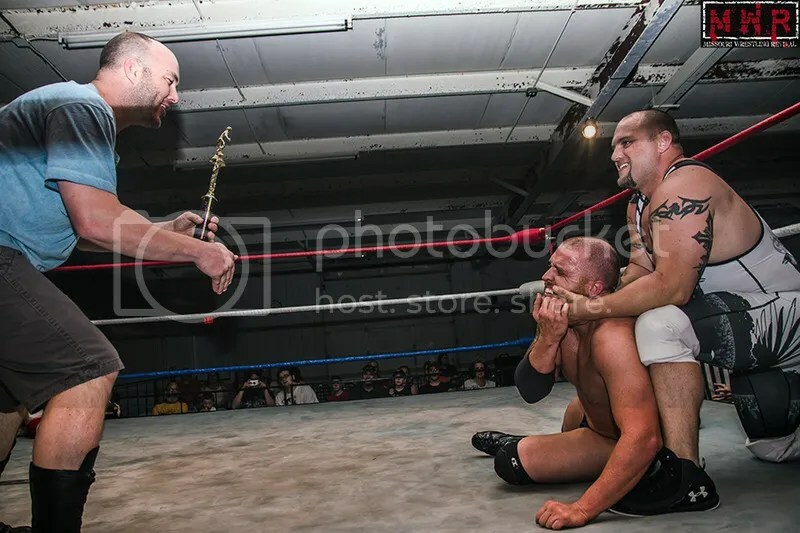 Patera and Fender used every trick in the book to get under the skin of O’Brien and Race, but it would not be enough as the fan favorites got the last laugh when Race pinned Fender with the GTS to end the night on a high note. Fans attending the World League Wrestling event on June 26th expected to see new Tag Team Champions being crowned…but an unexpected team walked out with the gold that night. The night started with the roster assembled at ringside for a ten-bell salute. Several legends of the wrestling business had recently passed away and those in attendance paid tribute to “The American Dream” Dusty Rhodes, Tommy Rogers, “Nature Boy” Buddy Landell, and Cora Combs. 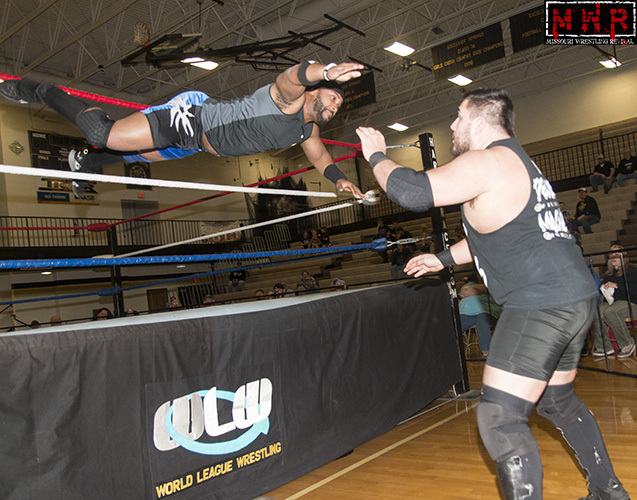 The opening match saw Jon Webb made his triumphant return from Japan as he faced Michael Magnuson of the Black Hand Warriors. Webb had learned a lot in his stint with the NOAH promotion as he went toe-to-toe with the bigger and stronger Magnuson. Magnuson nearly powered his way to victory, but Webb surprised him with a rana into a pinning combination for the win. “Dangerous” Derek McQuinn had been on a roll since his return to action, but the fans were on the side of his opponent John E. Rock. 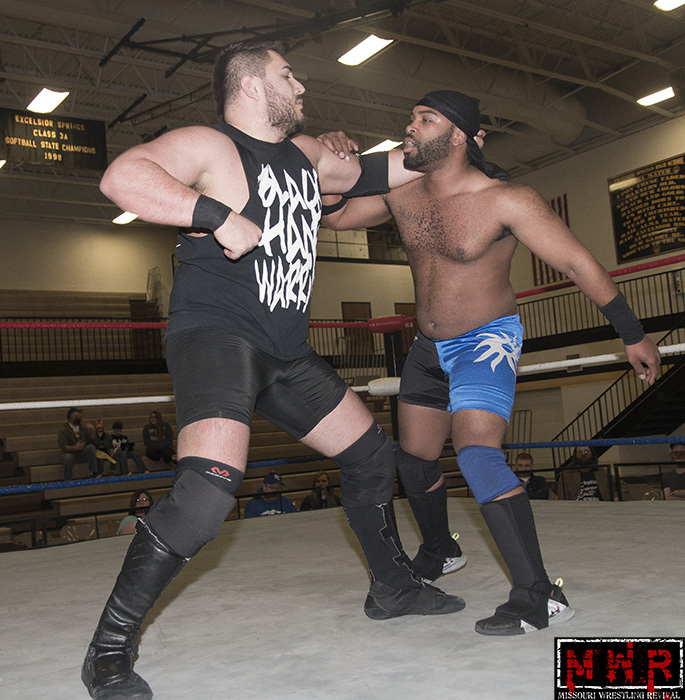 Rock had momentum on his side due to the support of the audience at the Harley Race Wrestling Arena, but the former WLW Heavyweight Champion had the edge in experience as well as underhanded tactics. 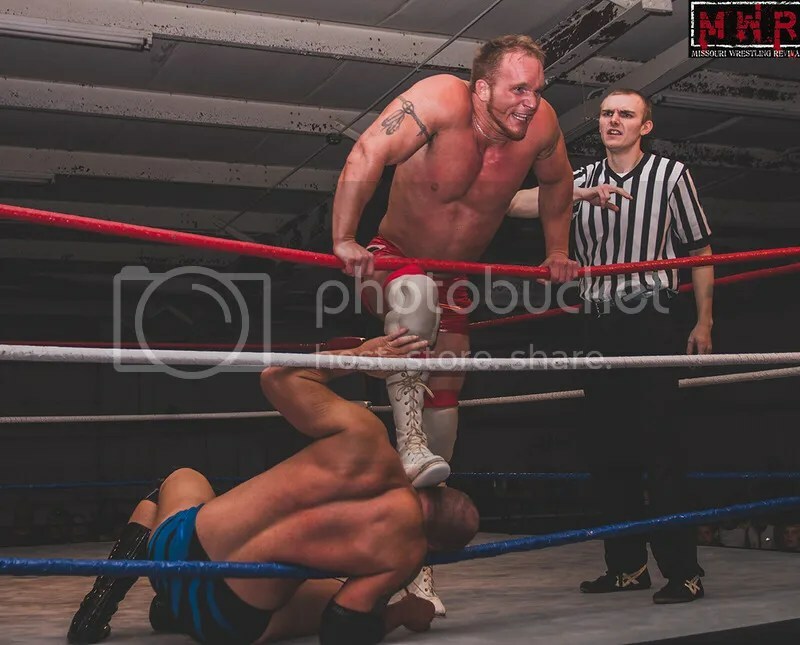 When Rock climbed to the top turnbuckle, Dangerous Derek shoved the referee into the ropes to knock his opponent off balance. Rock tumbled to the mat and Derek took advantage of the situation, winning with his trademark spear. 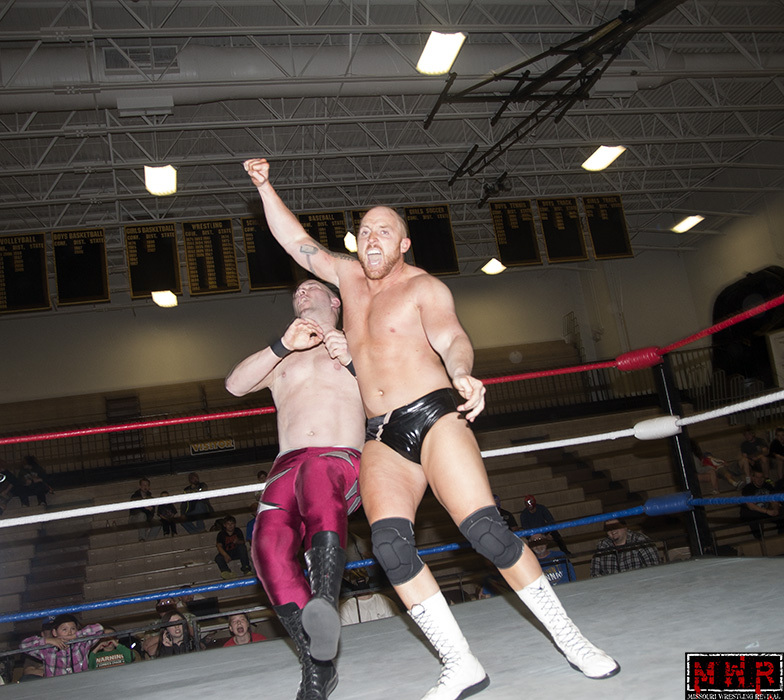 “The Legacy” Leland Race had a tough test as he defended his WLW Championship against “The Ego” Dustin Bozworth. The challenger had recently appeared on “Stone Cold” Steve Austin’s Broken Skull Ranch show and was hoping to ride that fame to greater in-ring success. However, Race had held the title since November and wasn’t planning on his reign being ended so soon. 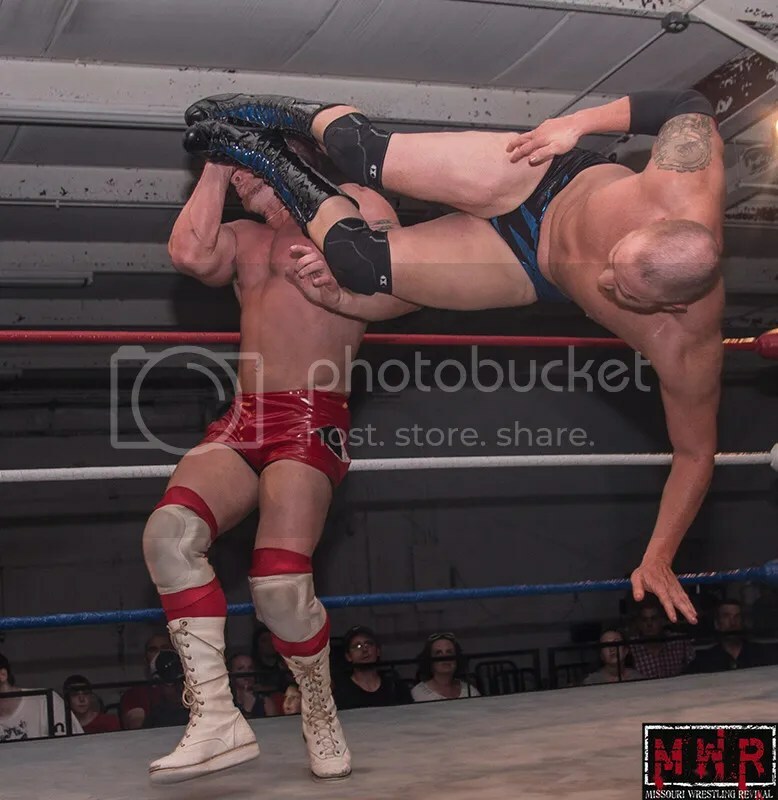 Leland Race rocks the Ego with a beautiful dropkick. 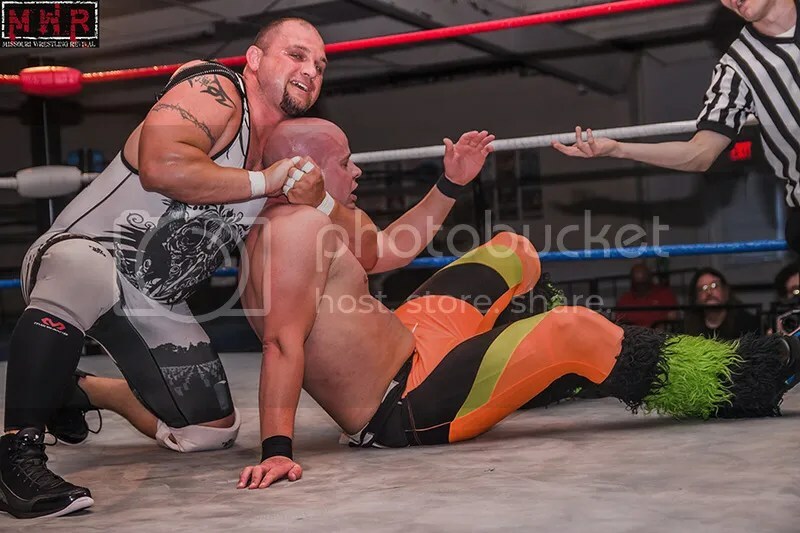 Bozworth seemingly had control of the match when Superstar Steve Fender and Dangerous Derek attacked the champion, causing a disqualification win for the titleholder. Bozworth didn’t participate in the two-on-one beatdown as the pair had just ruined his chance at winning the belt…when Fender teased a cash-in of his Harley Race Invitational Tournament trophy for an impromptu title match with Leland, Bozworth’s presence made him reconsider and Fender left the ring with McQuinn. 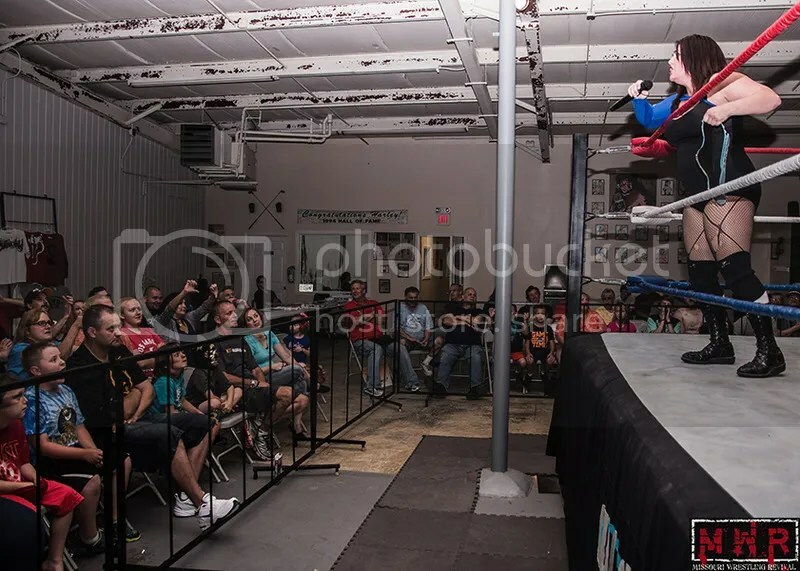 A long-standing rivalry continued as Stacey O’Brien defended the WLW Women’s Championship against “Miss Natural” Heather Patera. Miss Natural won the title for the first time in 2002 and has held it a record-setting seven times in total. However, Stacey’s first title win came at Miss Natural’s expense in 2008 and the two have been battling since that time. On the heels of their best-of-five-match series over the belt, Stacey was a six-time champion and was hoping to close the book on the long rivalry However, the bout ended in controversy as a pinning combination seemed to leave both women’s shoulders on the canvas. Miss Natural thought she had won, but Stacey got a shoulder off the mat and was declared the winner. Miss Natural angrily grabbed the title belt before it could be presented to the champion…she wanted the feud to end as well and she challenged Stacey to a best-of-three-falls match at the Night Of Champions event in August. 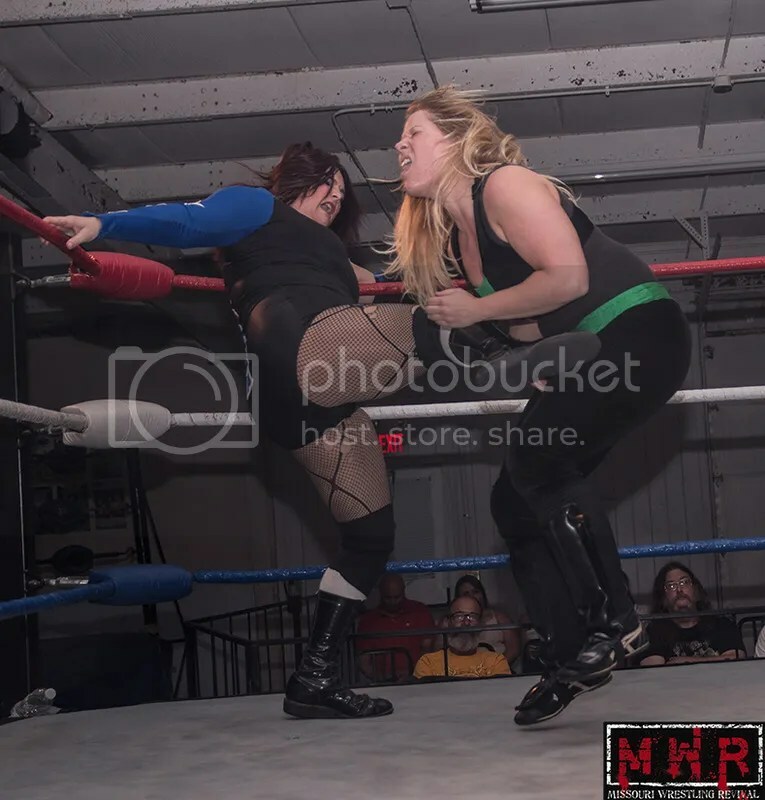 Stacey accepted the offer and the two shook hands, but Miss Natural kicked her in the midsection and laid her out with the Natural Disaster! When Jon Webb and Jack Gamble left for their tour of NOAH, the WLW Tag Team Titles were declared vacant and a four-team tournament was held to determine the next champions. 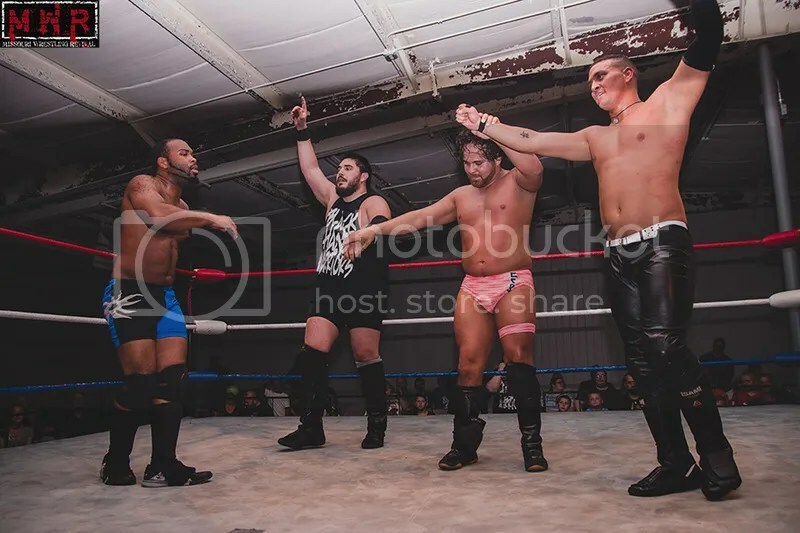 The Black Hand Warriors duo of Dave DeLorean and Jayden Fenix had defeated John E. Rock and Matt Creed to advance; on the other side of the bracket, the upstart team of Kickin’ Kyle Roberts and Justin D’Air scored a huge upset over Superstar Steve and Dangerous Derek. However, Roberts suffered a broken collarbone in the matchup and Brandon Espinosa substituted for him in the tournament finale. 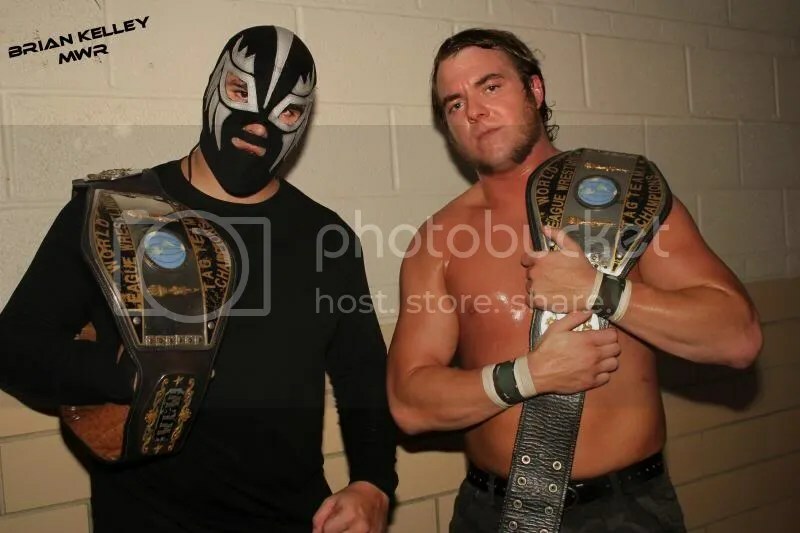 Despite their limited experience as a unit, Espinosa and D’Air worked well together; however, DeLorean and Fenix had the advantage in tag team continuity. They gained the advantage when DeLorean dropped Espinosa onto the edge of the ring with a modified Death Valley Driver, but Espy finally managed to make the tag to D’Air. 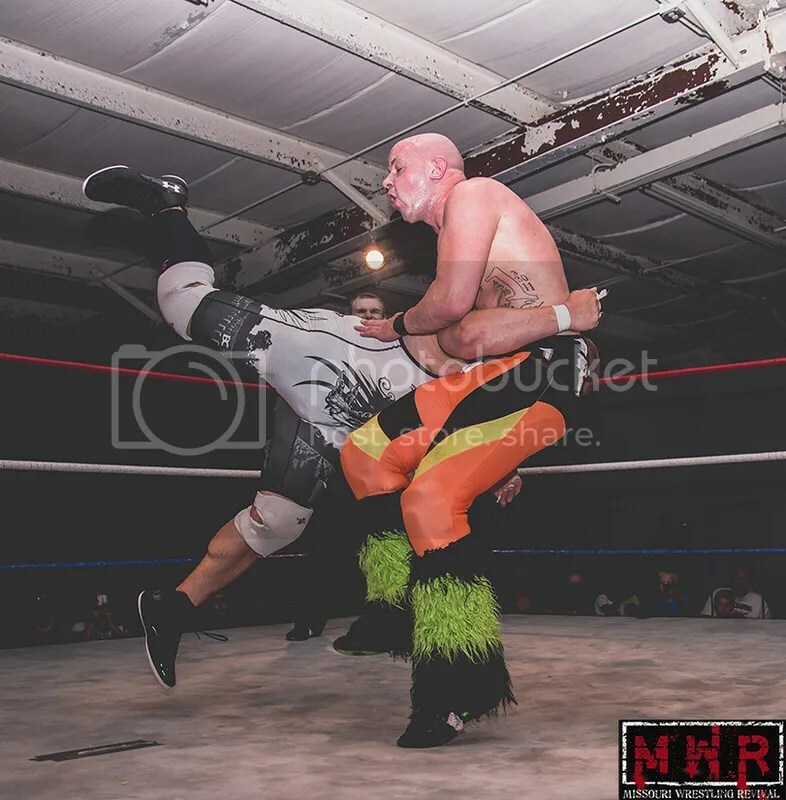 D’Air lived up to his name as he flew around the ring, culminating in a huge somersault plancha onto DeLorean and a Van Terminator-style dropkick with DeLorean seated in the adjacent corner. Espy powerslammed DeLorean and D’Air followed up with his 450 Splash, but Fenix broke up the pinfall attempt in time. 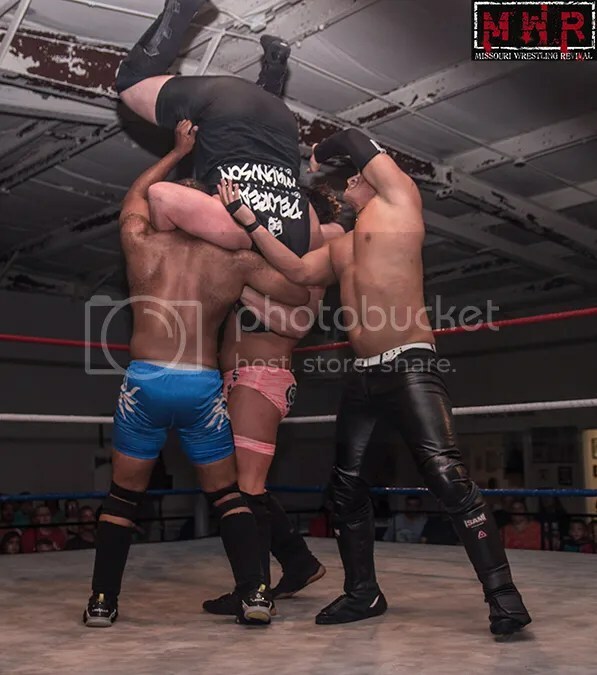 DeLorean and Fenix rallied and were able to take Espinosa out of the match long enough to finish off D’Air with their Tombstone/flying double-stomp combination…DeLorean pinned D’Air after that and the Black Hand Warriors were once again Tag Team Champions! The night wasn’t quite over…as DeLorean and Fenix celebrated their win, Superstar Steve and Dangerous Derek attacked them from behind! 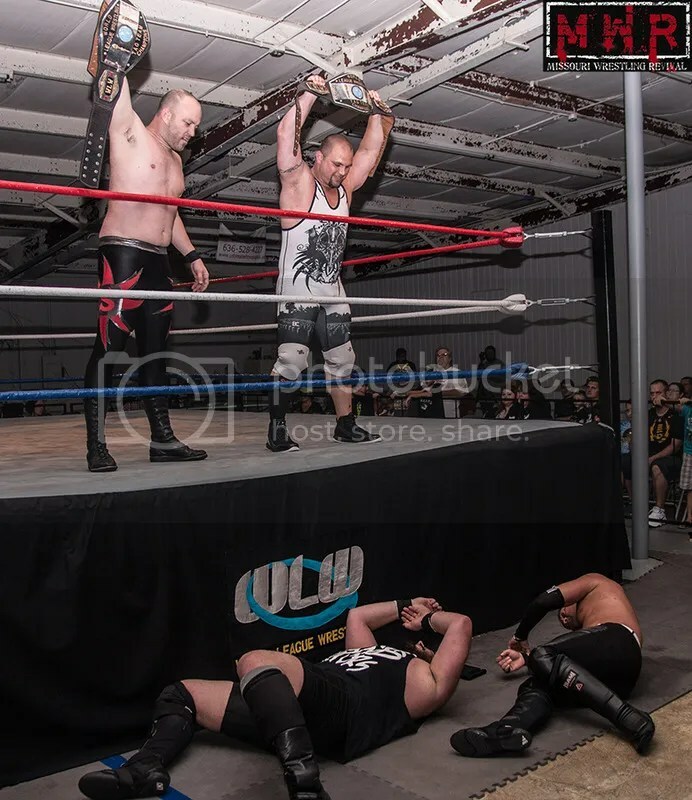 The teams battled it out, but Steve and Derek had the advantage over the worn-down champions…and Steve revealed that he could cash in his trophy for ANY title shot, electing to use it for an impromptu challenge for the tag belts! Superstar Steve and Dangerous Derek strike! The former Gold Exchange members isolated the less-experienced Fenix and Derek took him down with a spear…the referee barely had time to call for an official opening bell before he was counting Derek’s pinfall! Just like that, we saw new WLW Tag Team Champions crowned for the second time in the span of a few minutes! 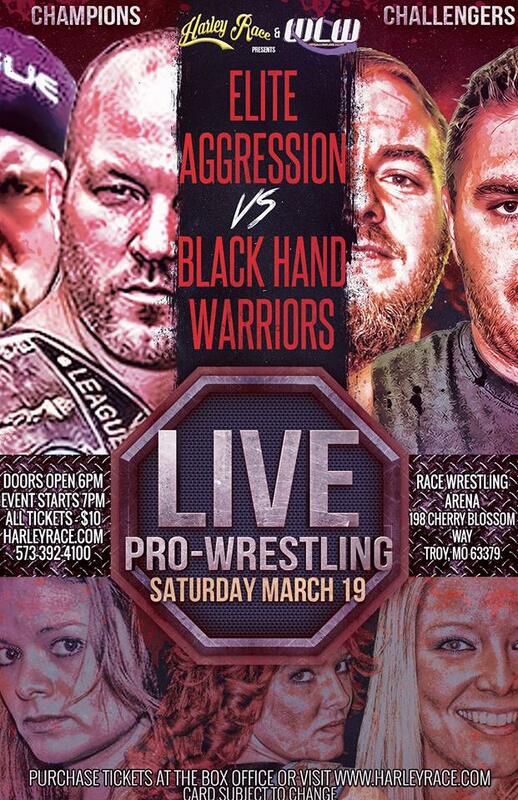 The night provided more questions than answers…will the Black Hand Warriors be the unlikely fan favorites against the newly-named “Elite Aggression” duo? Will they be on the same side as their old rivals Gamble and Webb, who just recently got back from Japan and will surely be wanting their belts back? Where does Michael Magnuson stand after being noticably absent while his partners were being screwed out of the championships? We don’t know the answers to those questions yet, but the fans certainly saw a memorable night of action in Troy! 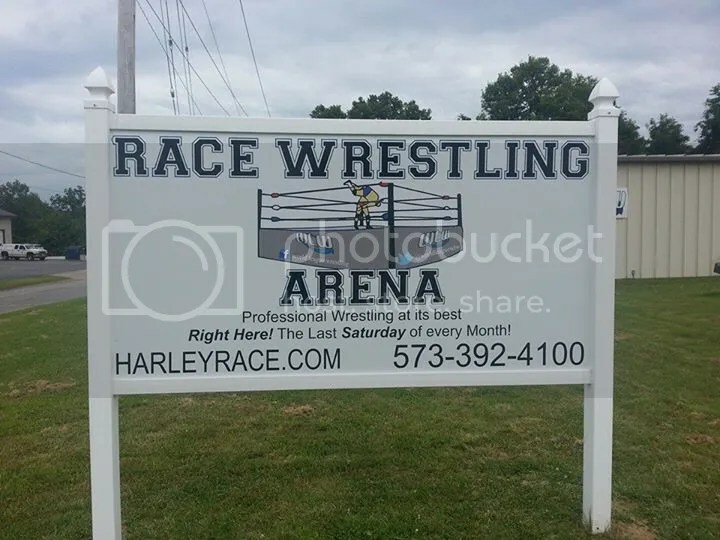 The Lincoln County Fairgrounds is located on Fairgrounds Road, Troy, MO 63379. From the St. Louis Area: Take Hwy 70 or Hwy 40/64 to Wentzville. Take Hwy 61 North at Wentville to Hwy 47 exit in Troy. Turn left onto Hwy 47 headed west. Follow Hwy 47 until you pass Clonts Field (Football) on your left. After the field you will turn right onto Fairgrounds Road. The grounds are approximately 1/4 mile on the right. From west:Take Hwy 70 East to the Hwy 47 Exit in Warrenton. Take Hwy 47 North to Hawk Point. At the four way stop in Hawk Point turn right continuing on Hwy 47. Turn left on Hwy H, just west of Troy. Take a right on Fairground Road. The fairgrounds will be just past the church on your left. Or stay on Hwy 47 until Fairgrounds Road is on your left. Turn left and follow for approximately a 1/4 mile. The fairgrounds will be on your right. 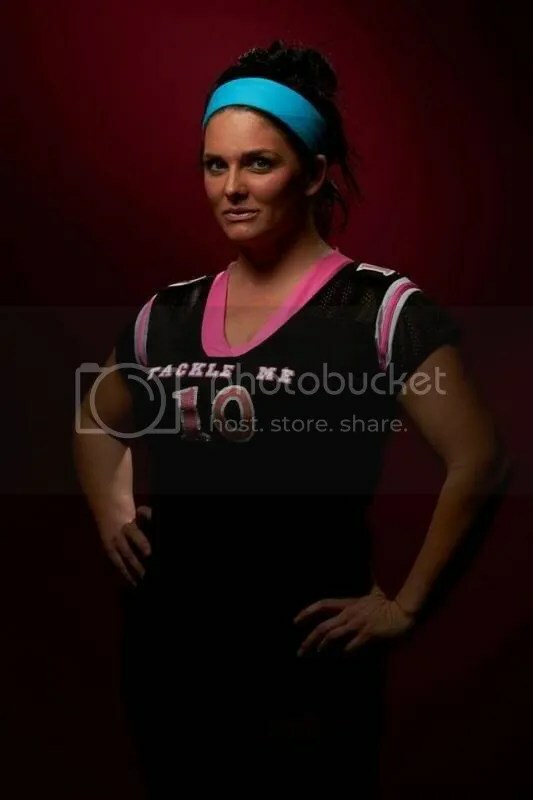 “Miss Natural” Heather Patera is one of the top female wrestlers in the country today. In 2013, she claimed her second MWR Female of the Year plaque, thus making her a back to back female of the year. 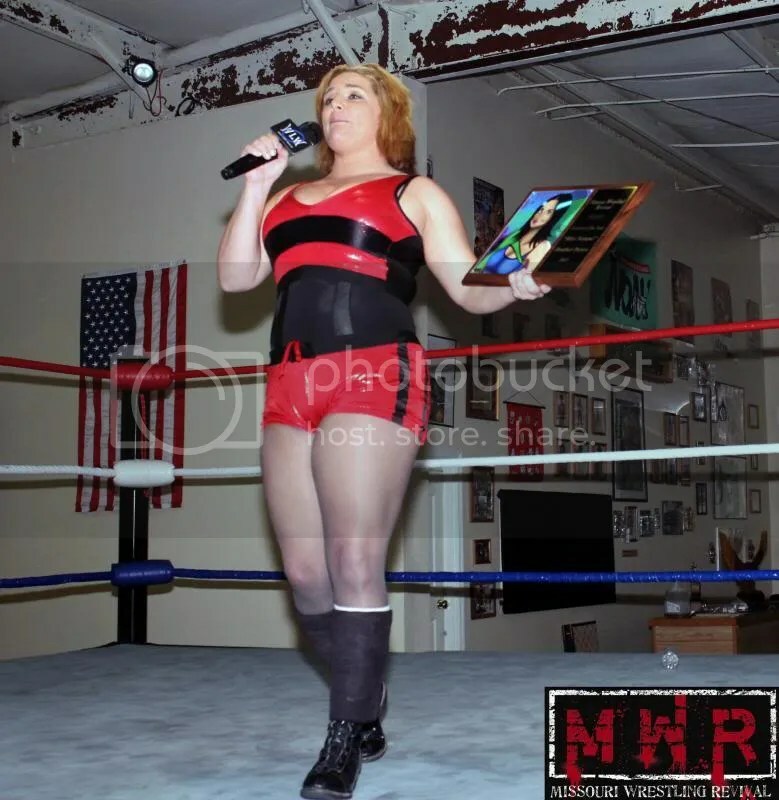 On June 28th ,at the Race Wrestling Arena, MWR’s Fan Relations Dubray Tallman presented Patera with her plaque. Surprisingly, Patera was offended by MWR on the occasion. Because we had chosen Troy, Missouri for the location of the presentation and not in her home state of Minnesota. She was not happy about this at all and made her feelings known, still she had her goals set in regaining the WLW Ladies Championship from Devyn Nicole. To accomplish that goal she had to defeat her arch rival and one of the most underrated female wrestlers in the country Stacey O’Brien. Natural and O’Brien had toured the country against each other , wagging war and thrilling fans and this night would be no different. 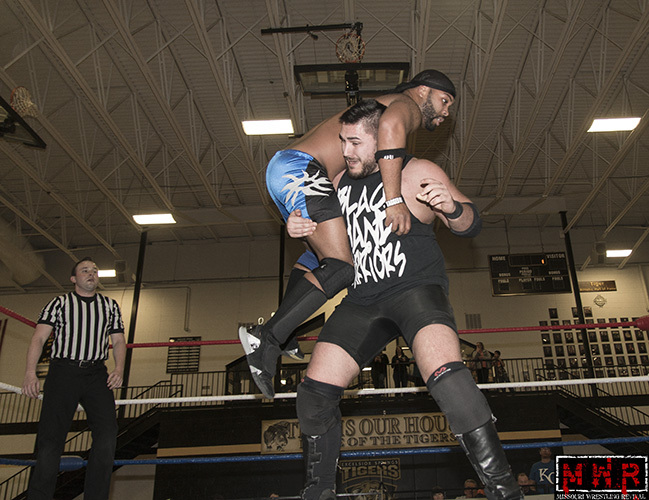 Throughout the match O’Brien was able to withstand a plethora of suplex’s, bodyslams and illegal chokes. When Natural tried to use the MWR Plaque, after the referee, Brandon Schmit was knocked down and miss, she quickly threw the plaque in O’Brien’s hands as Schmitt was coming to his senses. 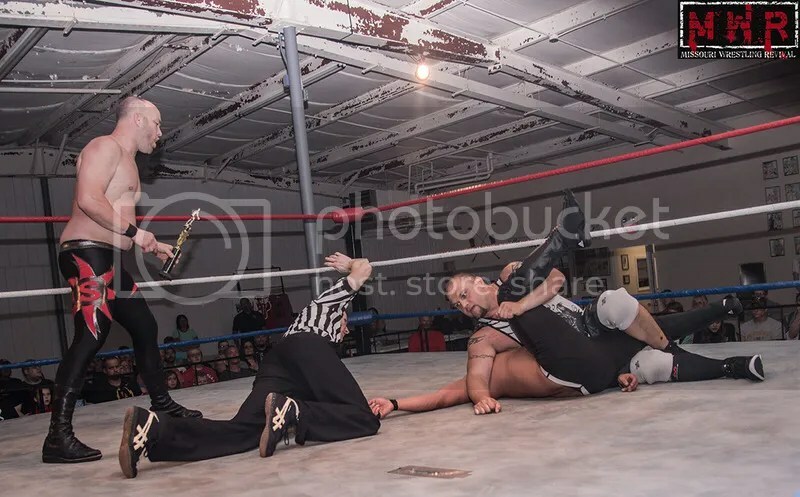 With Patera screaming in pain on her back and O’Brien holding the plaque, one of the Midwest’s finest refs had no other choice but to disqualify O’Brien and award Patera with the win. Patera has the momentum as she looks to regain the WLW Ladies Championship from Devyn Nicole, but there is no doubt that we have not seen the last of Patera vs. O’Brien. Could the next time before Patera’s title ? 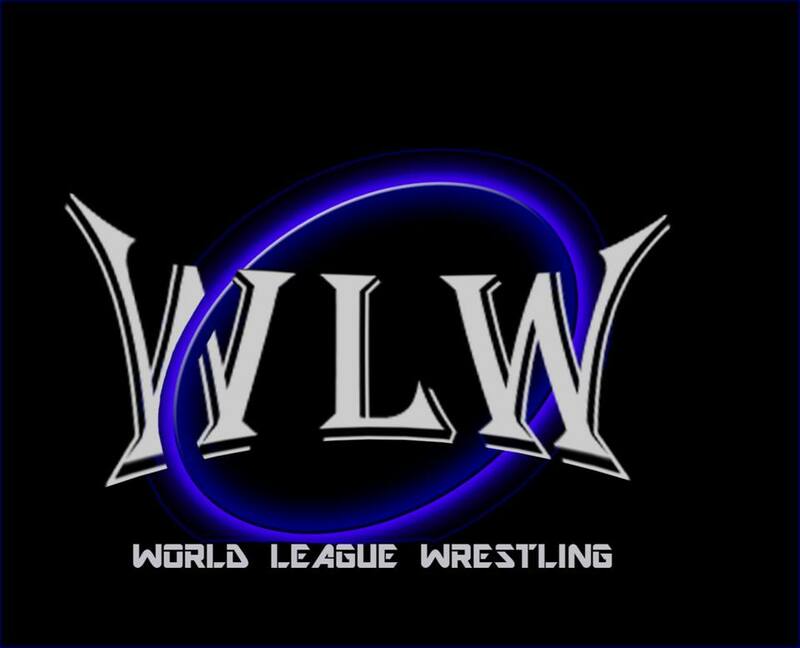 WLW was filled with exciting and shocking moments in Otterville, Missouri last night as fans were on the edge of their seats from the start. With the debut of WLW trainee Kyle Roberts, plus a man that my friend Jack Tierney calls the “Giant Killer” (after victories over Mark Sterling and former WLW Champion Brian Breaker) Jon Webb once again upset Sterling, and a new tag team of John E. Rock and Jamell Harris proved that they could take a beating as the Black Hand Warriors left them bloody and battered. WLW Champion Elvis Aliaga proved once again that he will do whatever it will take to hold onto his Championship as he delivered vicious shot with the belt to Jack Gamble secure a victory as referee Richard White was knocked out . While fans had a lot to be excited about it would be a historical moment in the young career of Devyn Nicole when she was able to defeat Stacey O’Brien for the WLW Ladies Championship. Nicole who has trained under Mr. Hughes (a man that had been managed by the “Greatest Wrestler on Gods Green Earth” Harley Race in WCW.) 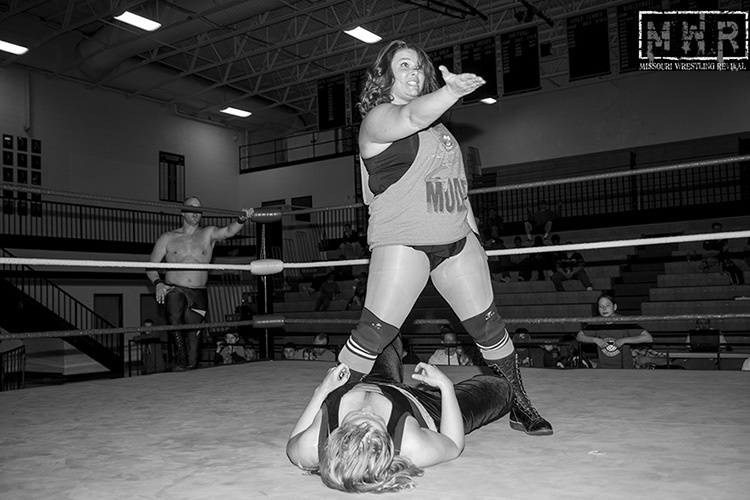 In the past Nicole had been overmatched several times against the 2-time MWR Female Wrestler of the Year, O’Brien, but in a quick moment Nicole proved that she has the championship quality of never giving up as she was able to have her hand raised in victory. Winning a Championship is truly an accomplishment but now the young Nicole is the hunted when she walks into the danger zone in Richmond, Missouri on April 19th when the stars of WLW return. Already signed for the new Champ will be a three way match against two of the top female stars in country Stacey O’Brien and the current MWR Female Wrestler of the Year “Miss Natural” Heather Patera . For more information on this exciting night be sure to check out the WLW website and MWR for updates as they come in. 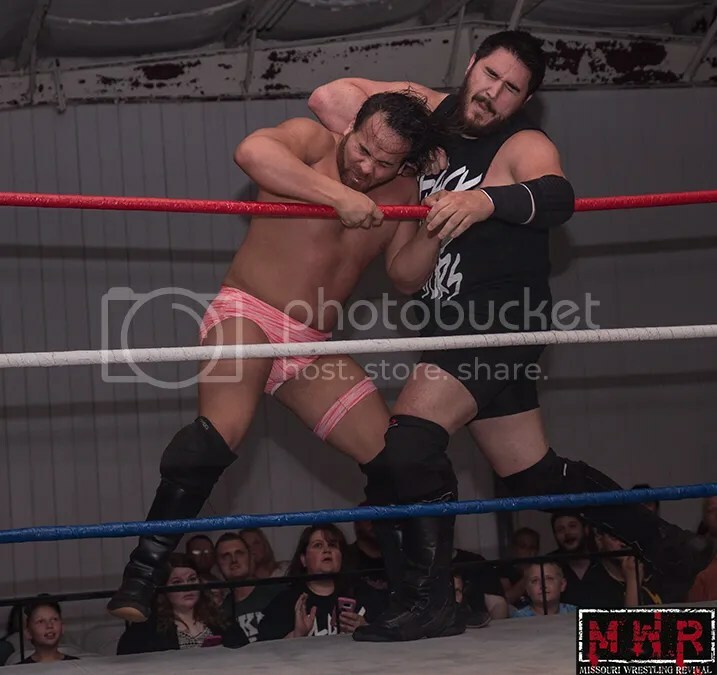 The former MWR Wrestler of the year Brandon Espinosa could very well be the most active wrestler in the MWR coverage area . 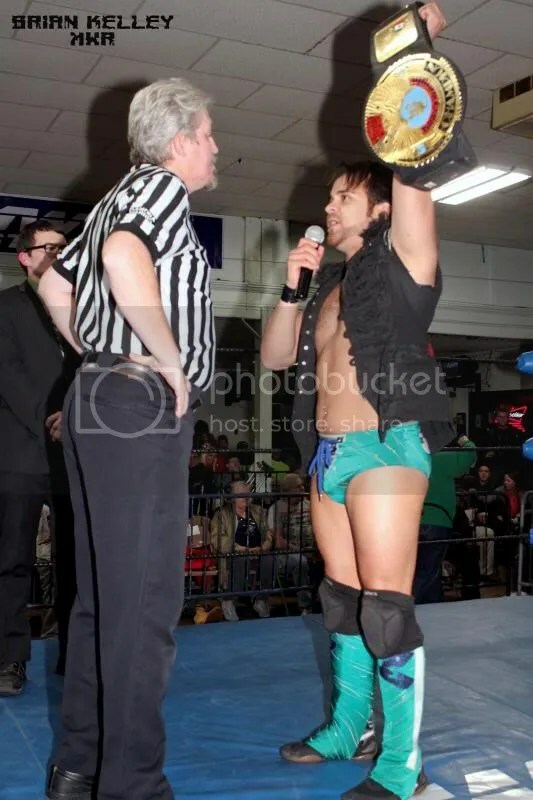 Many people made a great case for him being named as the first 2-time MWR Wrestler of the year this year with a great run as champ at PWE and MMWA. 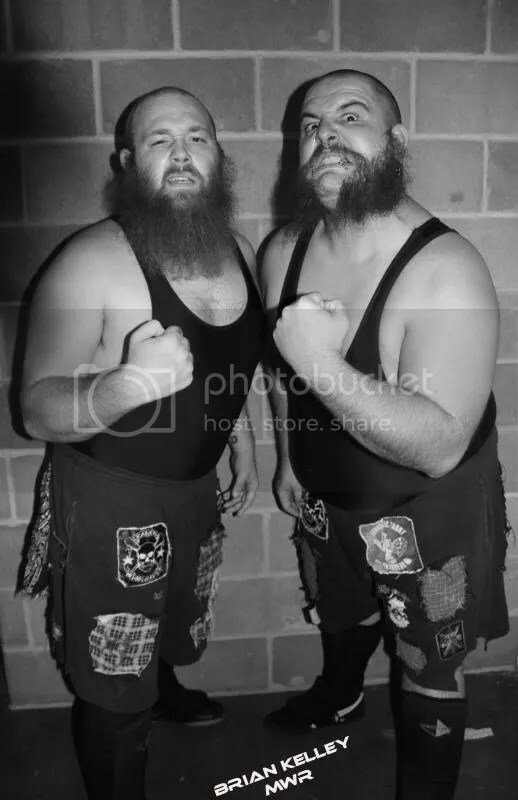 During the MWR years, the two wrestlers that I have covered live the most are Espinosa and Mark Sterling and make no mistake about it that I have seen two versions of Espinosa. 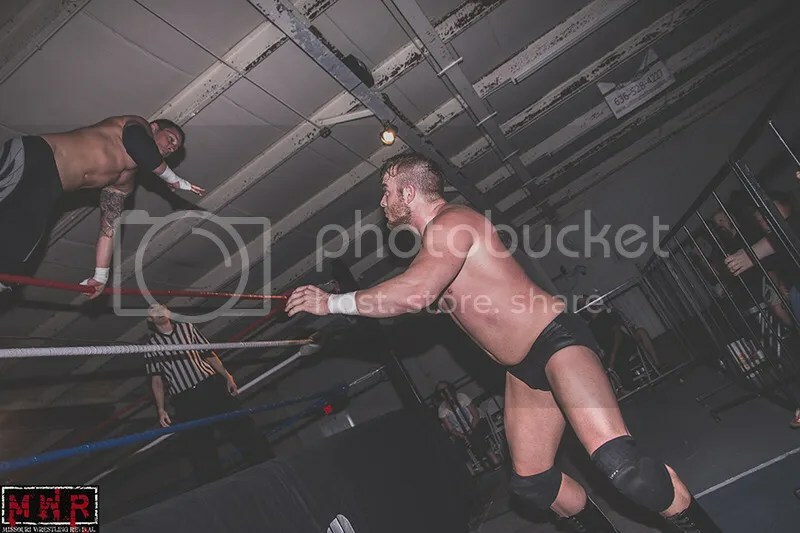 One is the guy that comes in and has one of the best matches on the night, but with him being so busy at other promotions just does not find the traction to show what he really has. On the other side of the coin, is why I call him a “Game Changer”. Take a peak at his time at the historic South Broadway Athletic Club. With the promotion in flux after some promotional changes, Espinosa returned and was a the foundation that brought excitement and havoc throughout 2013. 3XW is a former 2-time MWR Promotion of the year ( an award that has been since done away with) but it is hard to believe that Espinosa has yet to make his way to the Des Moines, Iowa promotion. With the ego of Espinosa a long term contract for Espinosa could spell trouble and excitement in the championship picture at 3XW. How would the 3XW faithful deal with the flamboyant Espinosa? That is something I would love to see. 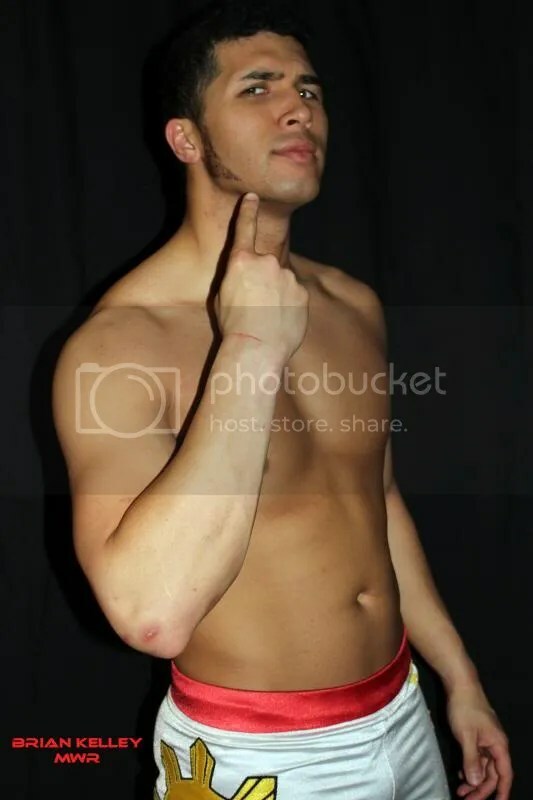 Dirden is the hot name in the Midwest after touring Japan and coming back to win big matches and Championships on route to being chosen as the 2013 MWR Wrestler of the Year. 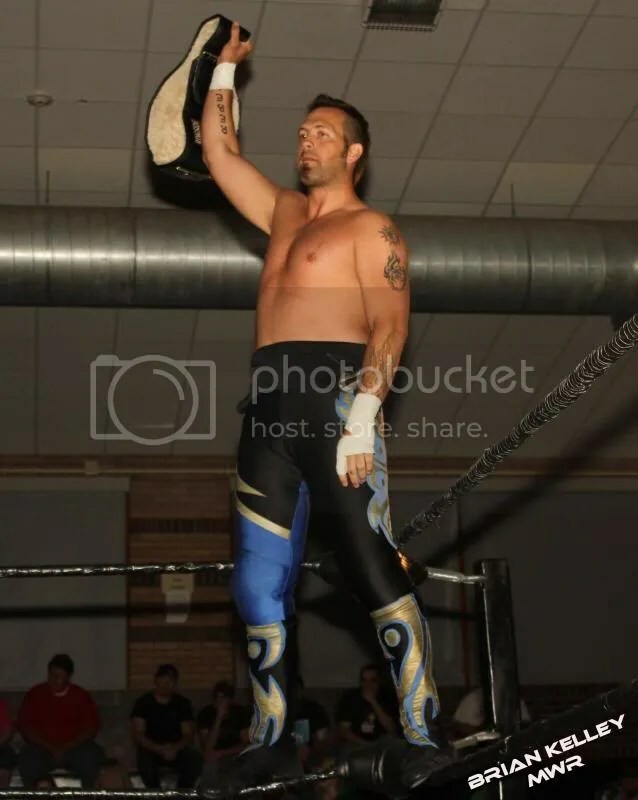 James was mentioned early on for the award after dethroning Darin Corbin for the St Louis Anarchy Championship and having another year filled with hard hitting matches. 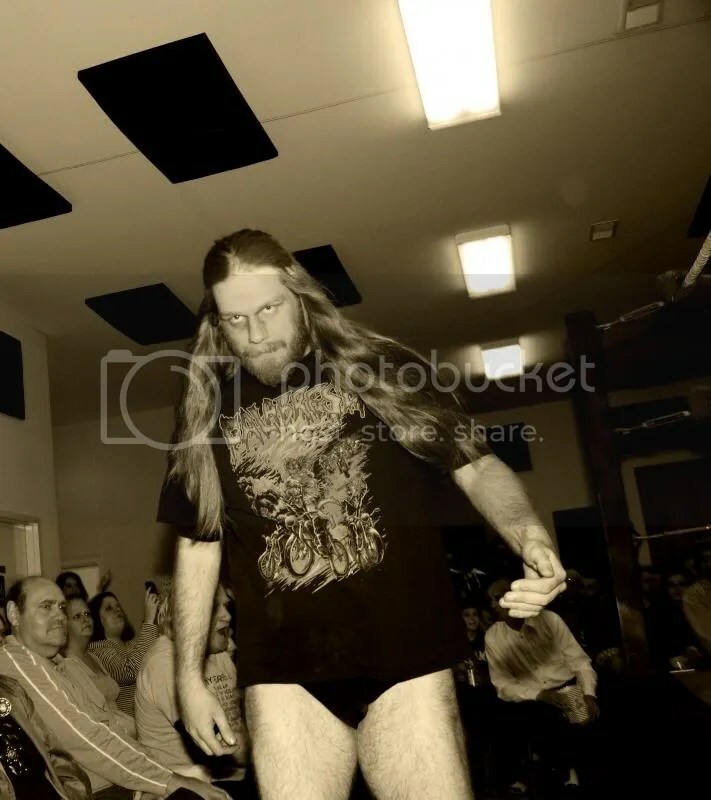 James would be the smaller man in this battle, but don’t count him out as he has a track record of battling some of the biggest hard hitting men in wrestling that includes the Necro Butcher, Adam Raw, and Donovan Ruddick. Could be the defining moment in James career to this point by proving that he was in fact overlooked as one of the best today or will Dirdens raw brutality be the end of James? Either way I have no doubt that this would be a match that would not forget. In the end the winner of this match would be the fans. Many around the country know Michael Elgin as one of the young powerhouses in the sport of pro wrestling. 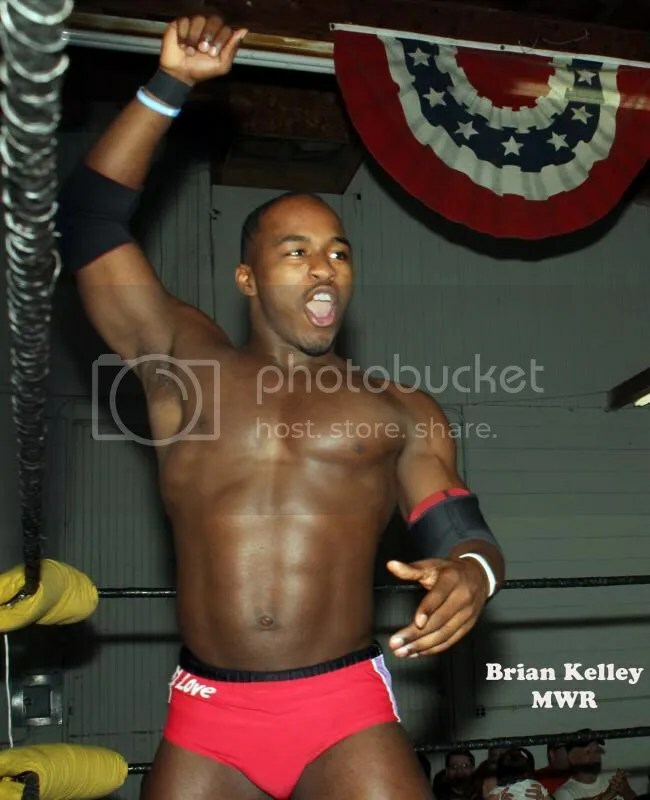 Elgin is a perennial contender for the ROH World Championship and had an impact demolishing Eric Allen at MECW, taking it too the high flyer Billy McNeil at Dynamo Pro Wrestling and recently showing no mercy to JoJo Bravo at St. Louis Anarchy. So many may laugh at the notion that Ron Powers at the final years of his wonderful wrestling career could hang with the young stallion Elgin in 201. Yet they have not seen Ron Powers in action. 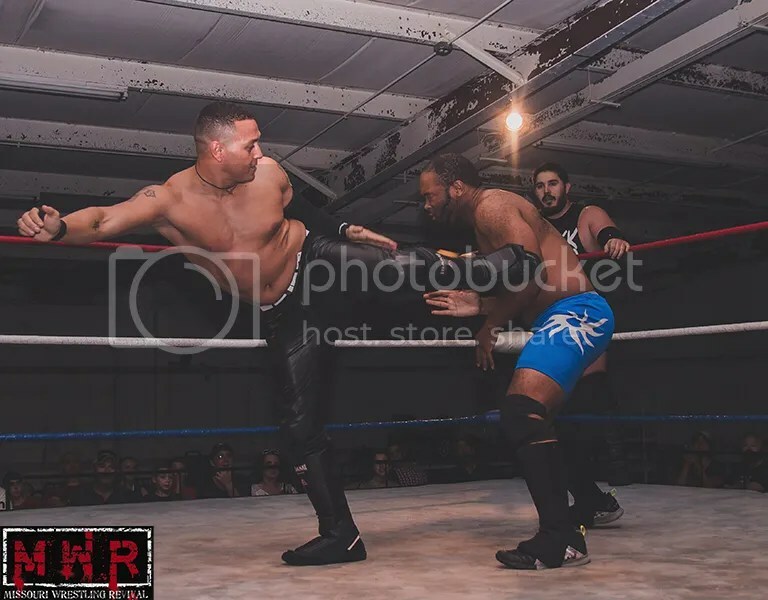 Sure he may be in a rare situation of being overpowered by Elgin, but men like Flash Flanagan, Gary Jackson and Ricky Cruz can attest that Powers is meaner than ever. This match would be a true classic for fans of old school, power on power with two guys that would have no fear of backing down. One could hope that Elgin vs. Powers happens in 2014. The 2013 female scene is getting a boost from the likes of Devyn Nichole, who could be the WLW Female Champion this month if she is able to defeat the 6-time WLW Ladies Champion Stacey O’Brien in Rolla, Missouri on the 15th. 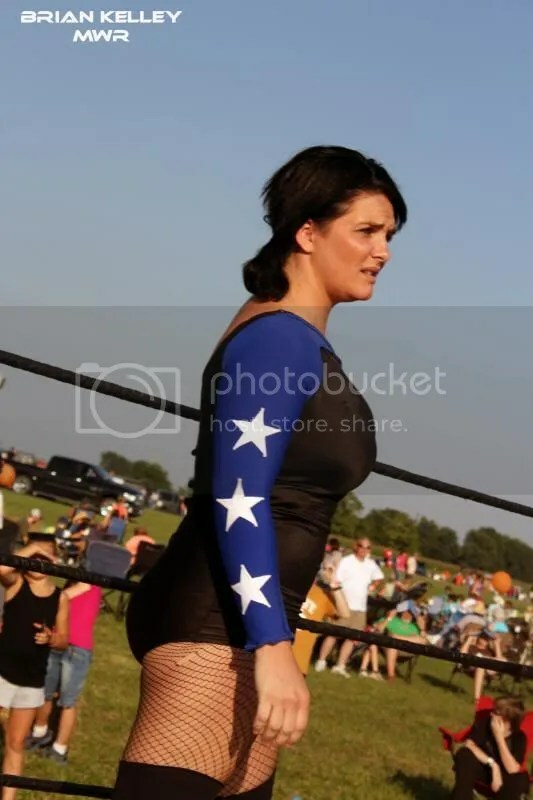 But if she is unable to wrestle the title from her , then Texas native Grace is a true threat to the dominace of the Irish Catholic School girl. No female has more of a buzz that the powerful and young Grace, but there has been many to make their way to knock Stacey O’Brien off the mountain, only to find out that that goal can be very difficult to achieve. 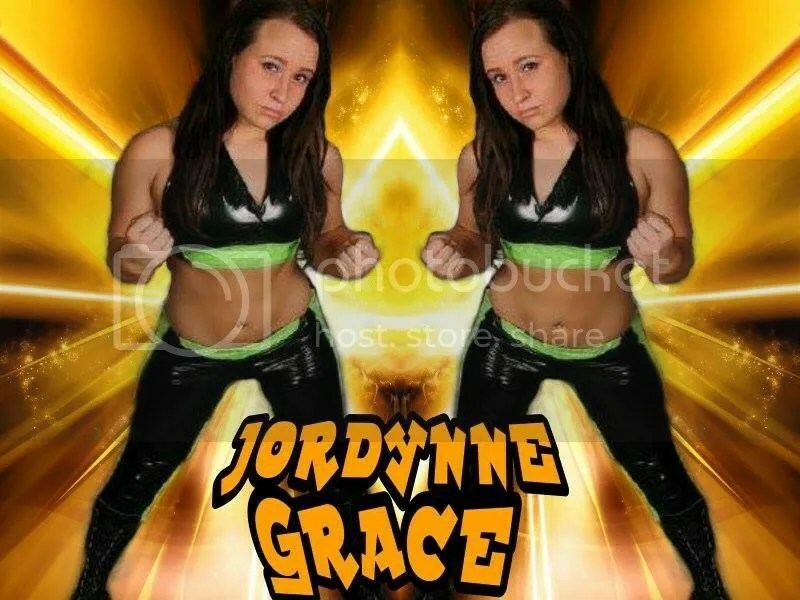 Can Grace add her name in the history books with the likes of MsChif, Stacey O’Brien, Josie and Malia Hosaka to become the youngest female wrestler to hold onto the title in 2014. We don’t know but we would love to see this match. 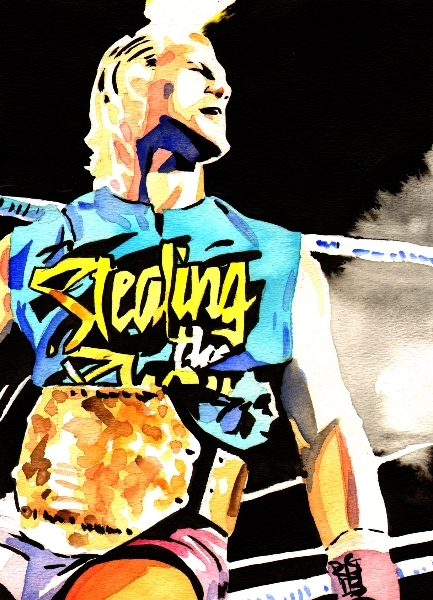 Wyatt is widely known as the Belt Collector and one of the best wrestlers in the Midwest. Amazingly, Wyatt a native of Kansas City, has yet to challenge for Harley Race’s World League Wrestling Championship. 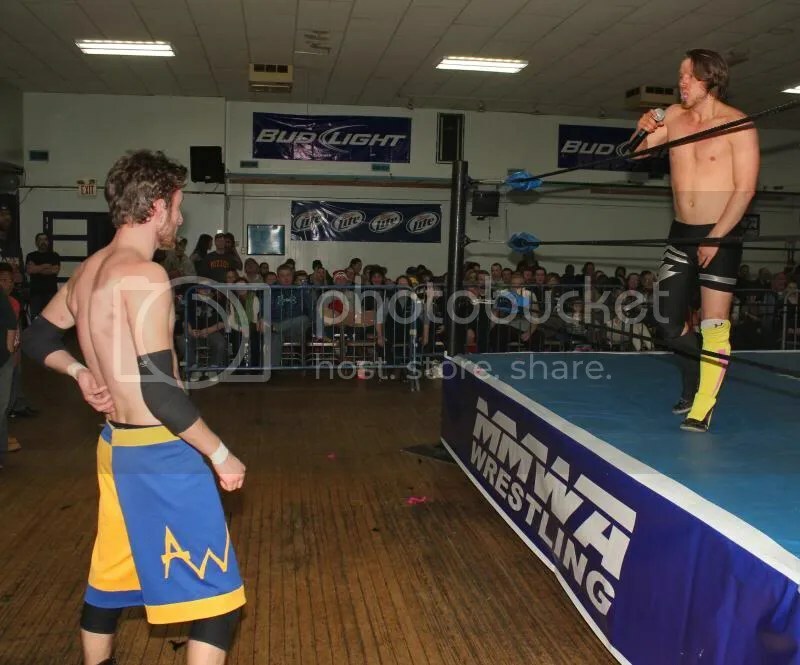 In the first MWR Yearbook we had hoped to see Wyatt challenge former WLW Champion Jason Jones (todays Leland Race ) in a match that never happened. The son of Harley Race is now on the hunt to return to WLW glory as young star Elvis Aliaga has dethrone him for the title. 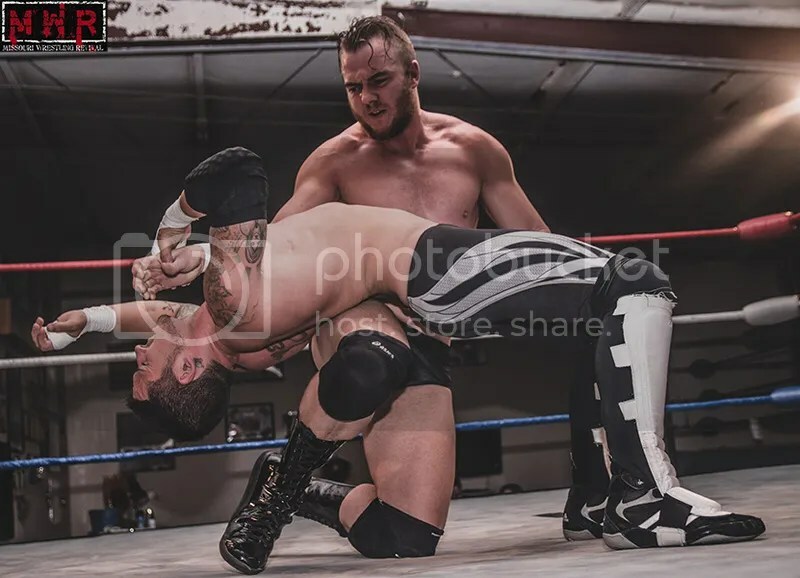 One would think that would mean that Wyatt would have an easier road on the less experienced wrestler Aliaga, but we have seen that the current WLW Champion has learned quickly under the watchful eye of the 8-time NWA World Champion Race’s school. 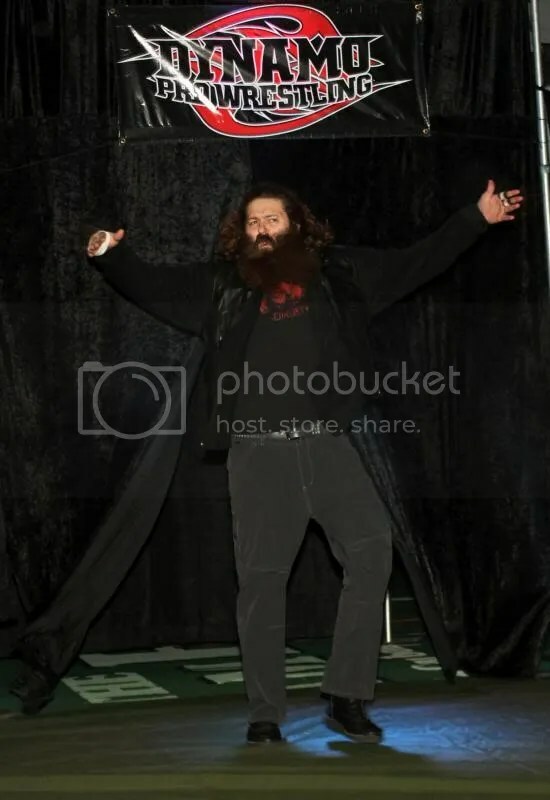 Wyatt, a man that has won more main championships in the MWR coverage area than anyone during the MWR years going after the WLW Championship would be a match that the fans have been clamoring for years. 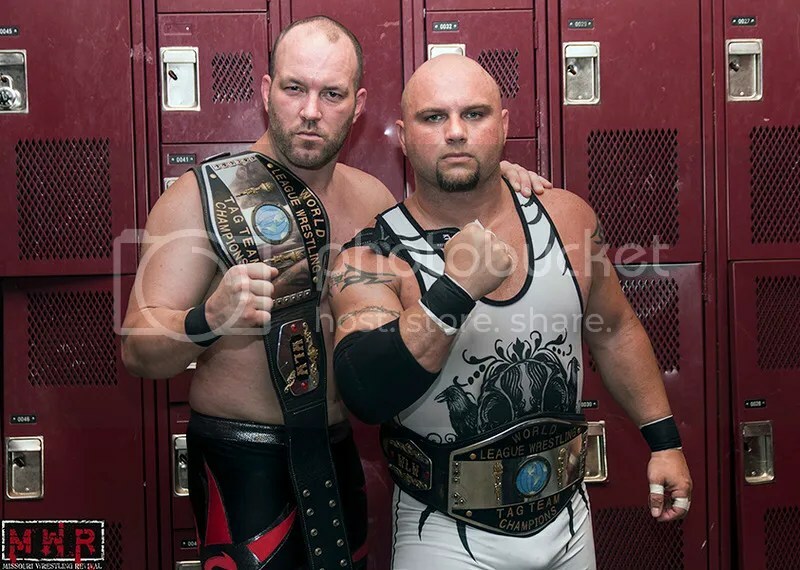 Michael Magnuson and Dave Delorean are the kings in the WLW locker room , but for them to prove that they are in fact the top tag team in the Midwest then they will have to look across the ring and see the Hooligans looking back at them. MWR’s money is on the Hooligans winning early, but with the raw talent of Magnuson and Delorean we could see the two sponge off of the battles to maybe take the title as the top tag team in the Midwest. “Miss Natural” Heather Patera could very well be the most underrated wrestler in the Midwest today. 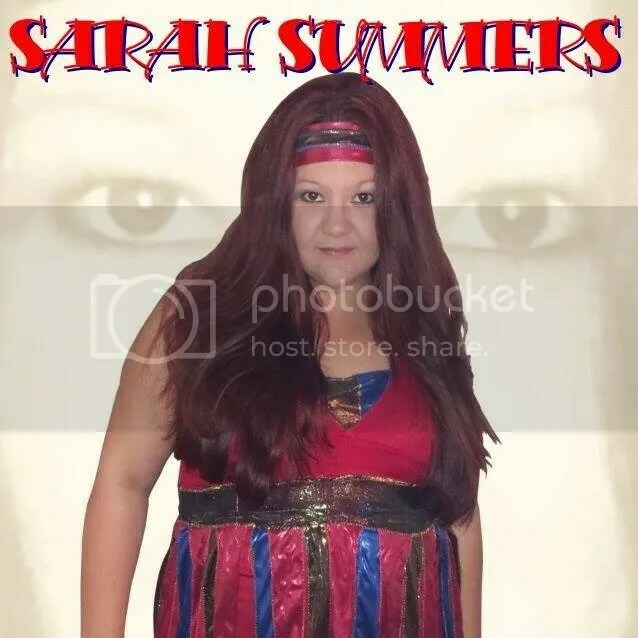 The two-time MWR Female of the Year has been ignored in the PWI TOP 50 Female, even though she is one of the few women that can lay claim to have trained under her dad Ken Patera and Harley Race. Miss Natural is wrestling perfection while winning the WLW title for a sixth time and then battled Shelly Martinez at ICP’s The Gathering of the Juggalos. 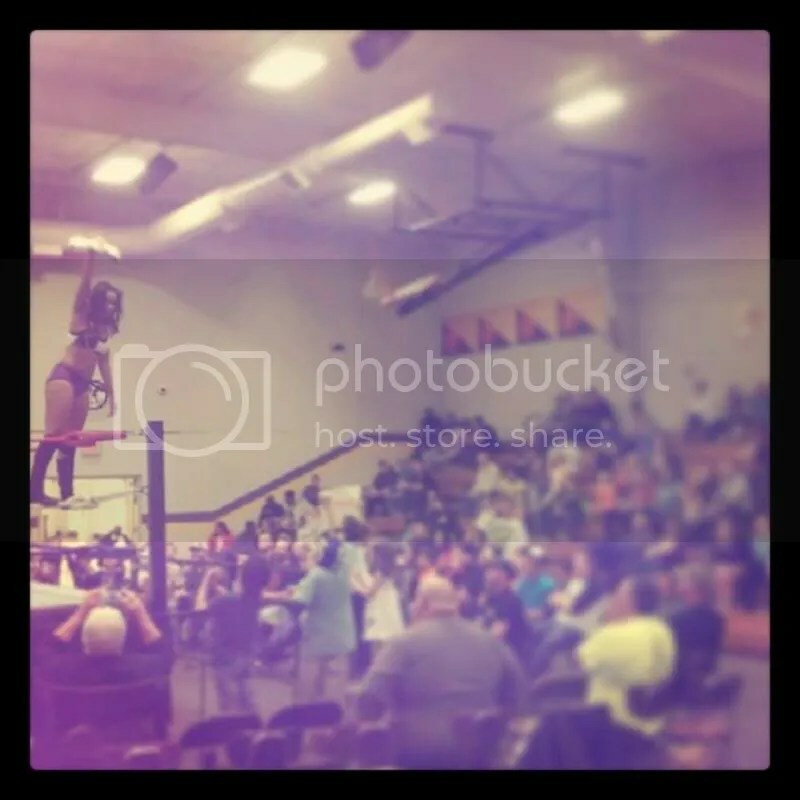 Natural has done it all in the Midwest, including starring at SHIMMER and in Chicago’s AAW. Today she is a marked women, if someone wants to lay claim as the best female in the Midwest they will have to go through her. With that target on her back there is one wo— man that may be on the way to the Midwest to end Naturals reign on top. Both women that has a history with former WWE Star Shelly Martinez, the one and only transgender wrestler Mariah Moreno “The Bloodthirsty Vixen”. Moreno has battled Mickie Knuckles and lived to talk about it. This match could be as physical and punishing as any match in the history of women’s wrestling in the Midwest. The MWR Future Star award is my personal favorite award that we present each year. Presented to the man/women that we not only feel is a talent to make a lasting impact, but also the wrestler that has shown the drive to improve their training and willingly to travel the roads to be the best that they can be. Each year we have done a great job with our picks and due to the fact that this year we had 2 talented wrestlers going over and beyond, we decided to honor 2 wrestlers for the first time. Showtime Bradley Charles is the first ever MWR Future Star recipient in 2010, a man that has sought out training around the world and is getting better with each and every match. 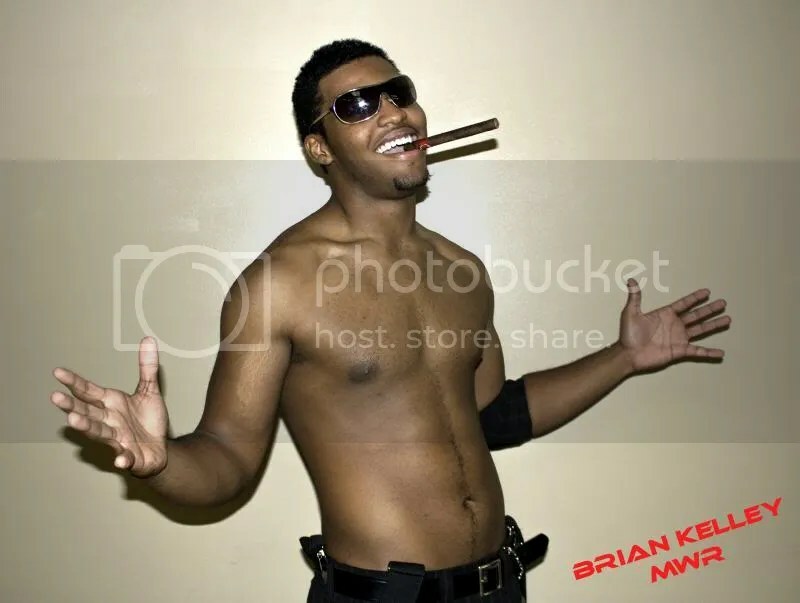 In 2011, the power of Brian Breaker exploded onto the scene and was picked up shortly after by WWE as a developmental wrestler in Florida. In 2012, Texas native ACH made his way to SLA on route to KC’s Metro Pro Wrestling and many of the other top promotions in the area. Since then he has signed a contract for ROH. 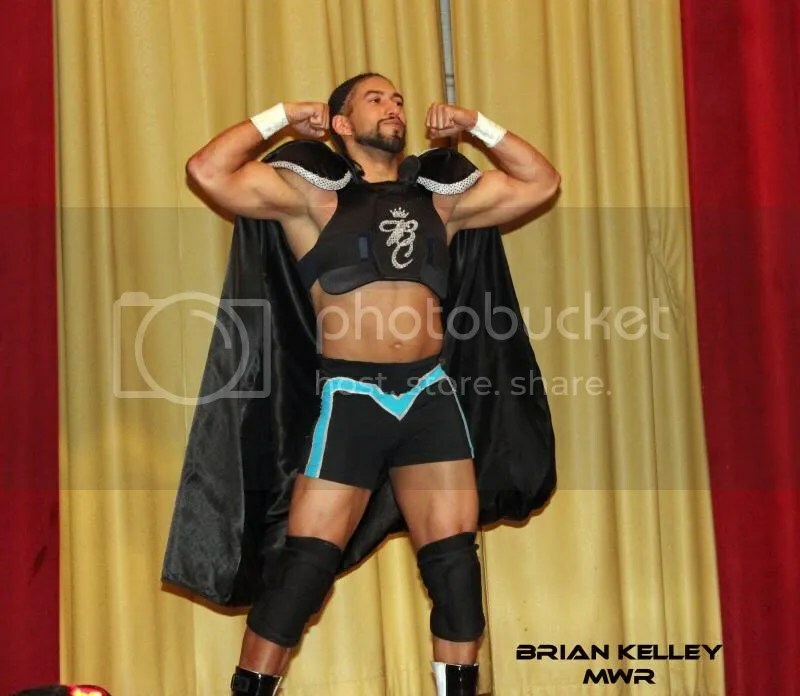 This year the 3rd runner-up for the PWI Rookie of the Year, Raphael King was chosen and a man that is coming into his own is another powerhouse, Alexander Rudolph who has worked all the top promotions in the Midwest, but has upped his game wrestling around the country and took part in the WLW Harley Race WLW/WWE/NOAH camp. Which one of these men would come up on top in 2013? Would it be the charismatic and the breathtaking moves of ACH? How about the perfect combination of power and wrestling of Brian Breaker? 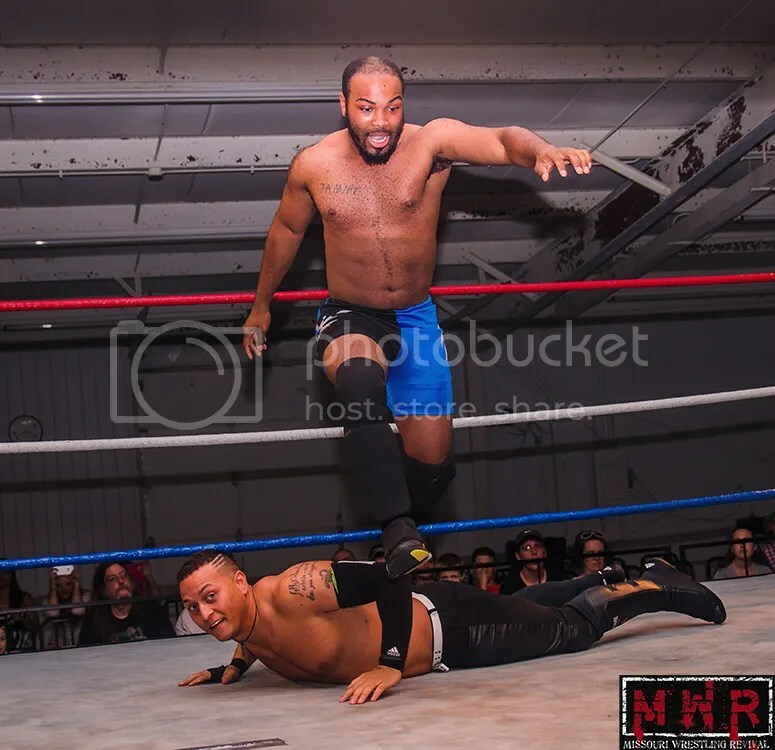 Raphael King may be a rookie, but he has been wrestling like a seasoned pro, so don’t tell him that he is the underdog because of his experience. Can Showtime send a message on why he was chosen first and have his hand raised under the lights in this huge match or will Alexander Rudolph not be denied. Ace Hawkins has won the PWI Rookie of the Year and this past years the 2013 MWR Sexiest Wrestler of the Year. Andrew Wilder has won the Jr. Heavyweight title. Though we honestly did not know who Wilder really was last year during the Sexiest Wrestler of the Year voting , we quickly learned after presenting Hawkins with the award at the SBAC as he yet to stop complaining that he was not included in the contest. Still, one can not deny that Wilder has surprisingly became Hawkins biggest challenge in the Midwest as he has been a thorn in the side of the fan favorite at each and every night the two are in the same building. With the emotions and anger at an all-time high Wilder took the notice that Hawkins was wanting a no-DQ match for Wilder’s title. Wilder demanded that Hawkins put his “Sexiest Wrestler” award on the line against his belt. 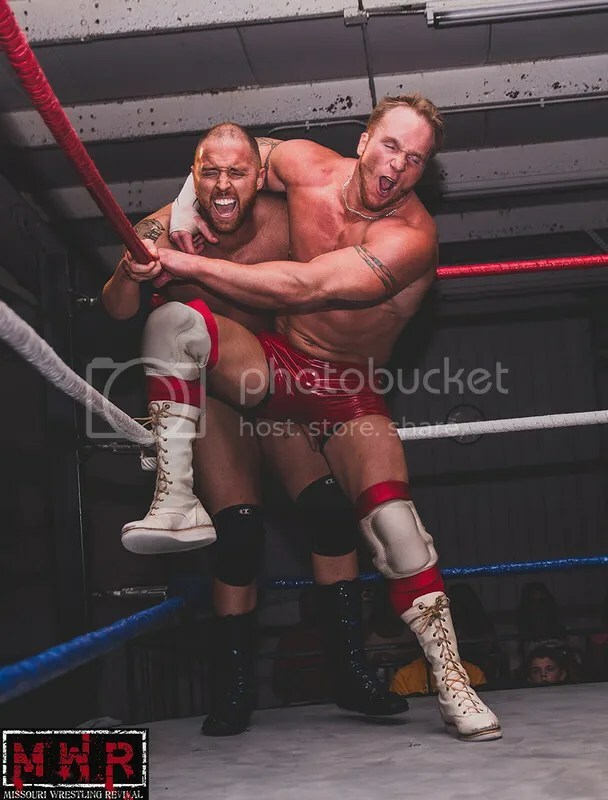 That exciting match is set for FEB 8th and with title vs. Award on the line everyone here at Missouri Wrestling Revival is hoping that the outcome will end the yearlong hateful e-mails and rude comments from Wilder on the Sexiest Wrestler of the Year award. SLA originals vs. the rest ?? The shocking events at SLA has seen Gerald James teaming with former rival Jeremy Wyatt to stop young fan favorites Mat Fitchett and Davey Vega from becoming the kingpins of the SLA. 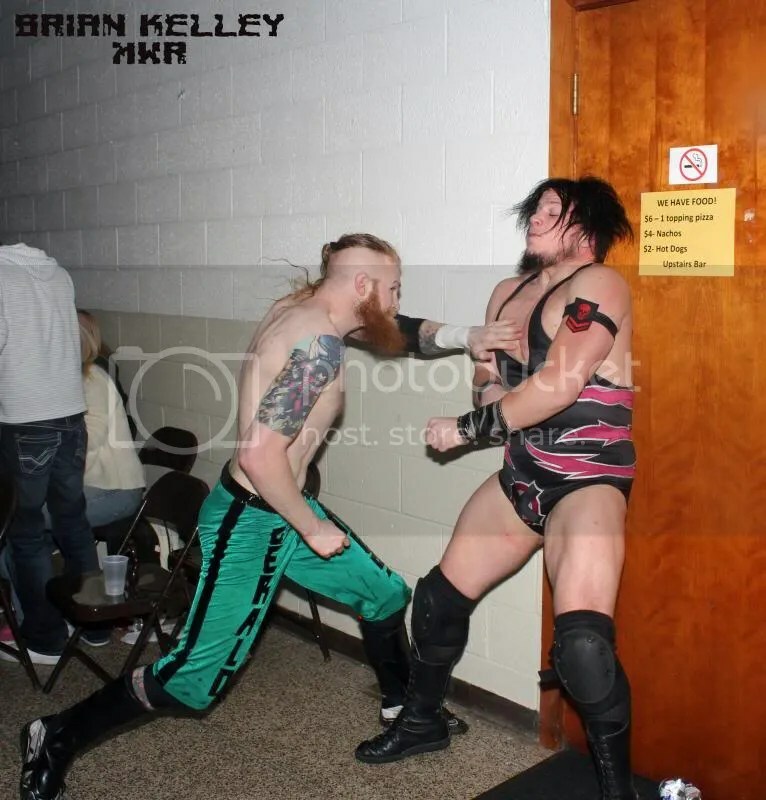 Then James was at it again as he has brought Jordan Lacey into the fold after he showed his true colors by attacking his tag team partner Alexander Rudolph in the last moments at the Anarchy show. What is going on and why as it seems as if the SLA Gerald James, Jeremy Wyatt, Jordan Lacey, Dorian Victor, and Greg Jovi has the SLA at their mercy? 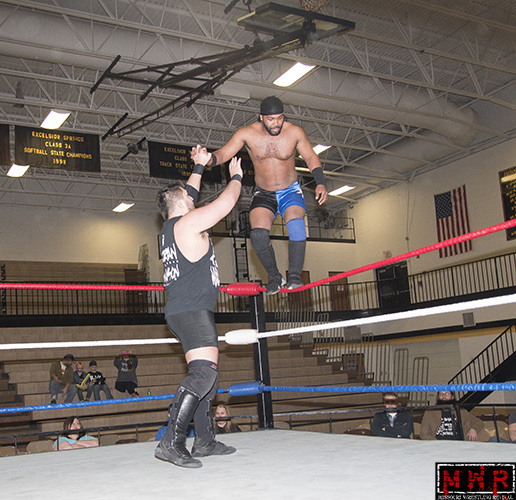 We have covered Cruz’s impact on the Midwest for the past couple of years at Missouri Wrestling Revival as he has touched the hearts of fans throughout the coverage area. His title reign at SICW was exciting, then he backed it up with a huge win against former NWA World Champion Adam Pearce at Dynamo that brought us to our feet, while his quick rise to challenge arch rival Jeremy Wyatt for the 3XW Championship surprised no one. What has surprised us though was the comments and attitude of Ricky Cruz on the latest SICW Wrestling Explosion Show. Is Cruz losing it? 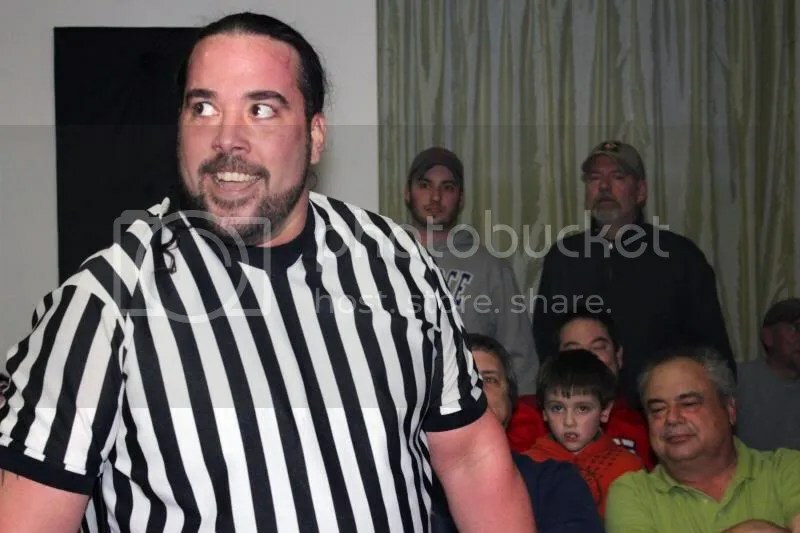 Editor’s note: This was wrote before the SICW show on January 18, that saw Ricky Cruz show his true colors by superkicking Ron Powers as he was the ref in Powers and Flash Flanagan’s grudge match at the standing room only at East Carondelet, Illinois.